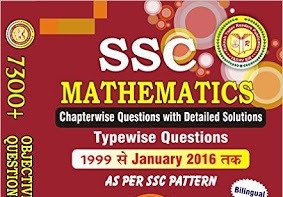 Download Free PDF Books, Magazine, Notes for SSC, Banking, IAS, UPSC, CAT and State PSE exams. This is just 526 kb file containing 41 pages notes from Disha Computer book. This is helpful for SSC and Bank exam experiments. Subscribe us to get future eBooks directly in your mailbox by Click Here. Click here to download this book pdf. Click here to download Full Class Notes (Maths) by Rakesh Yadav. Click here to download full study material for SSC and Bank. Have any query or doubt? Please let me know in comment box, i will try to reply for your all doubts. And please let me know your suggestions also. 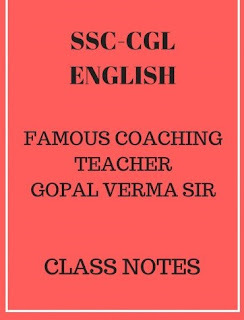 Gopal Verma Sir is a famous teacher of English in Delhi, especially for SSC exams. But these notes will help you in all competitions exams.